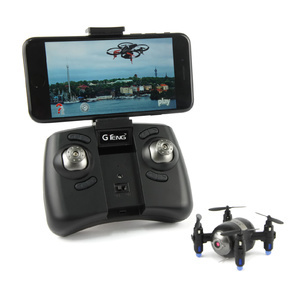 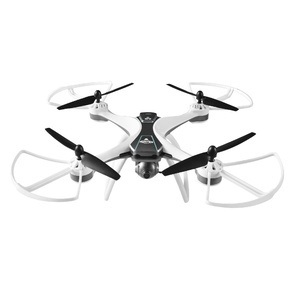 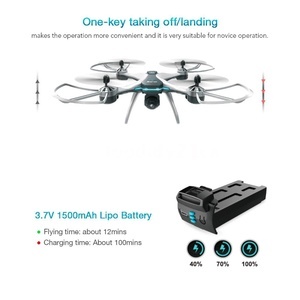 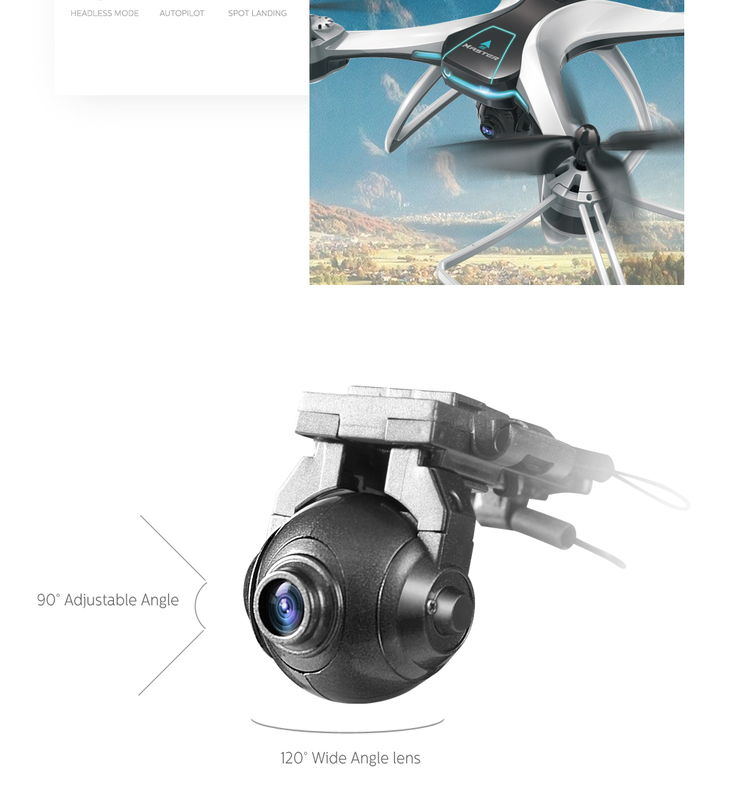 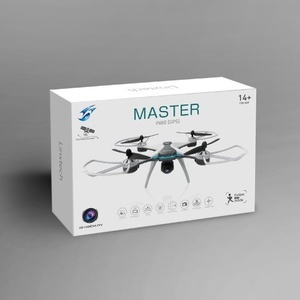 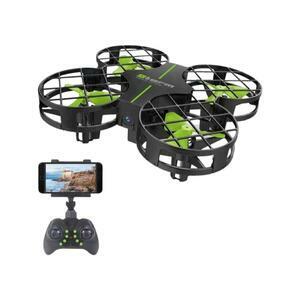 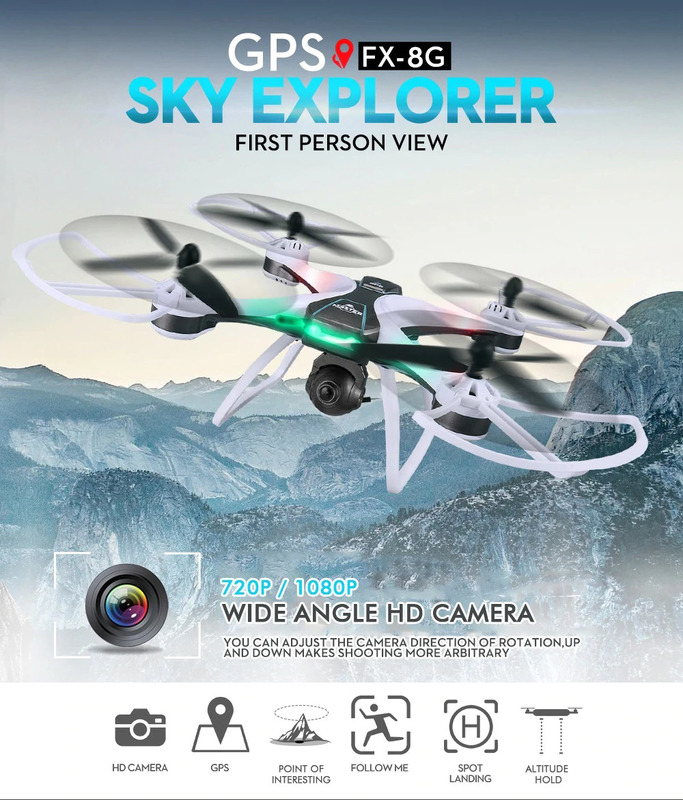 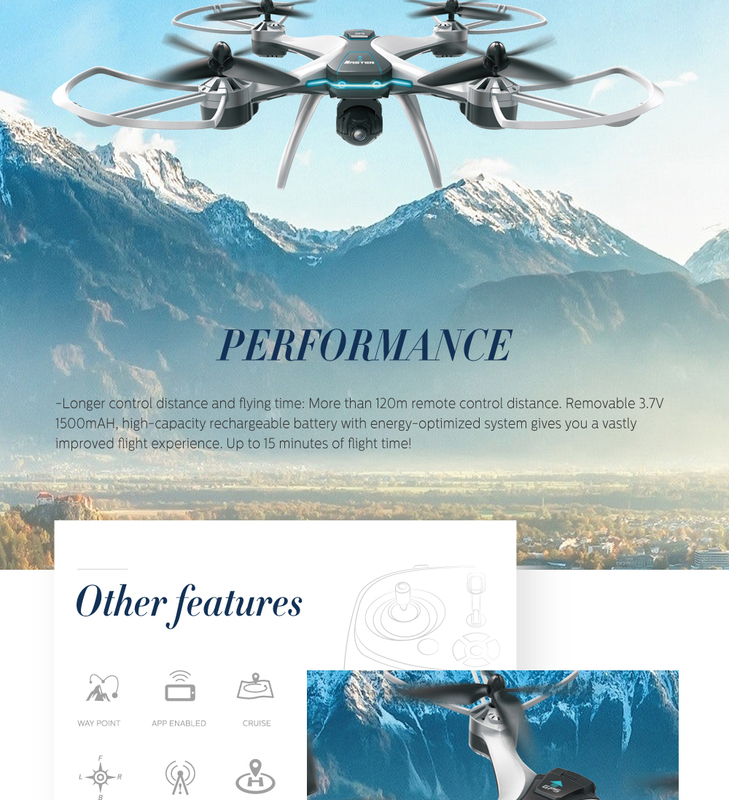 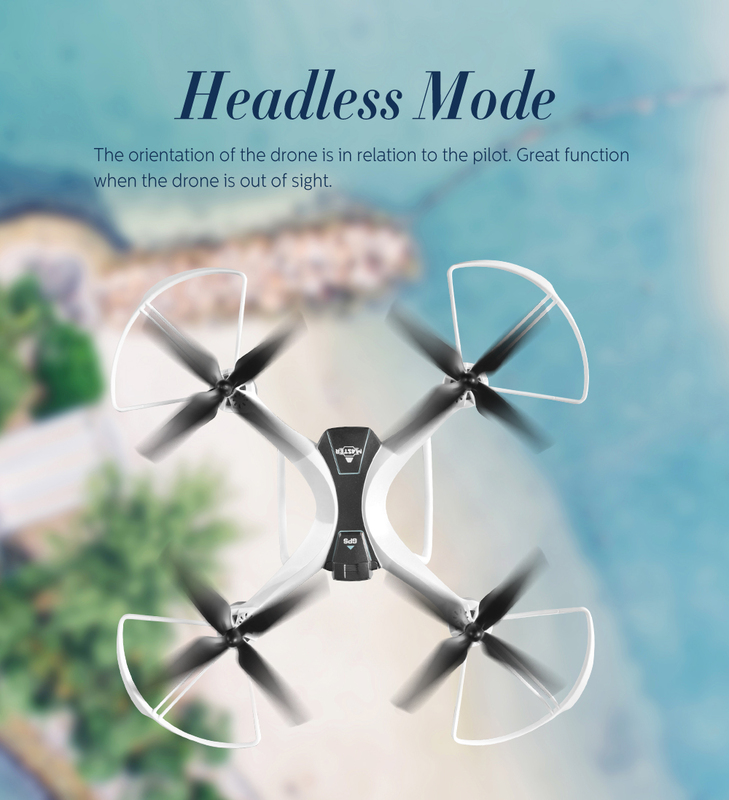 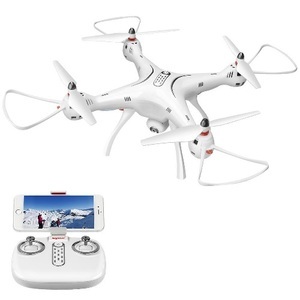 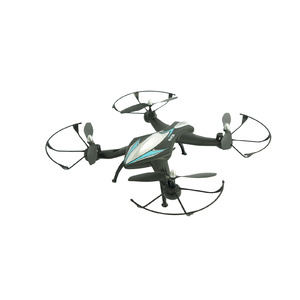 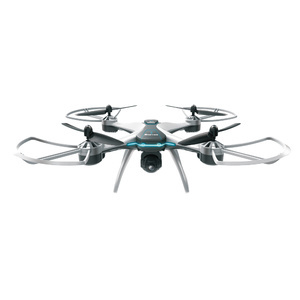 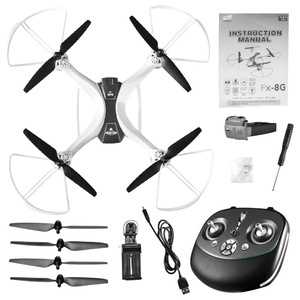 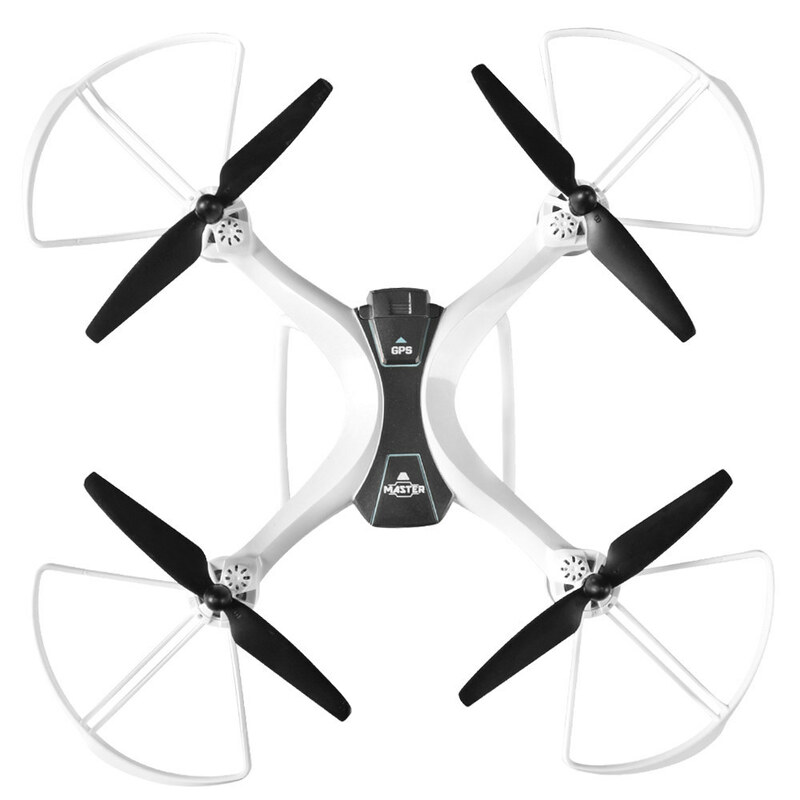 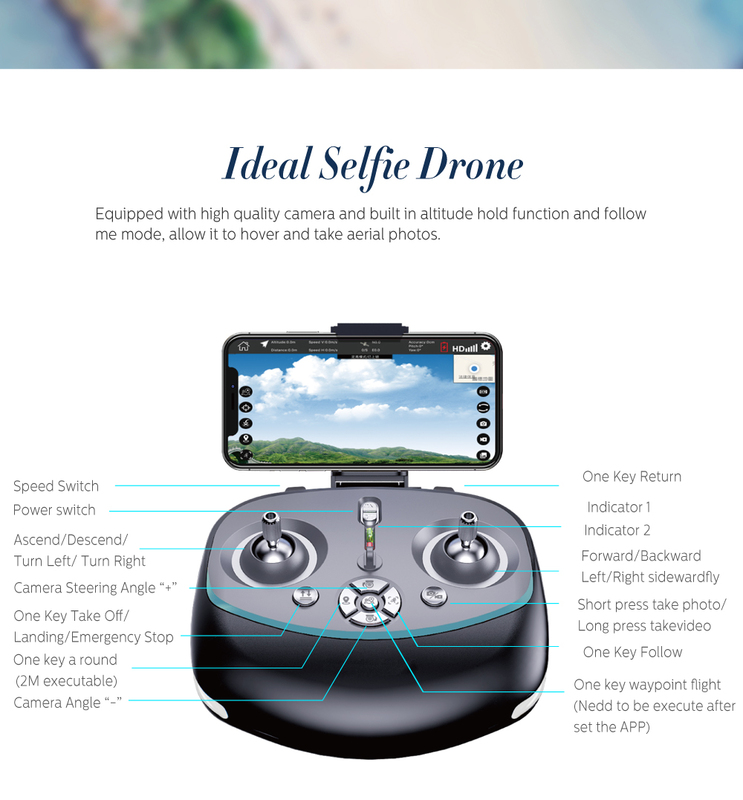 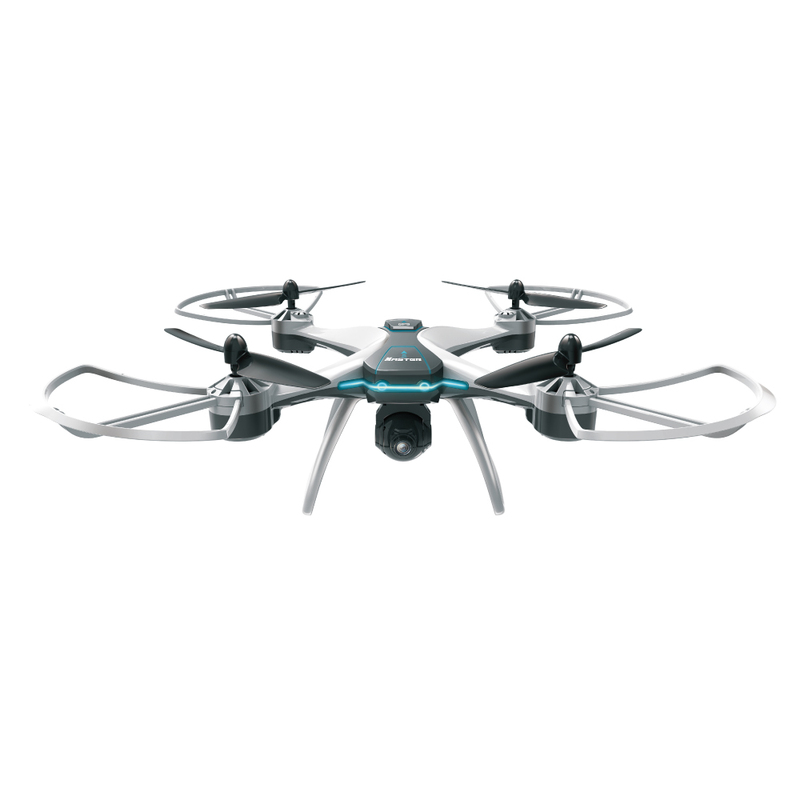 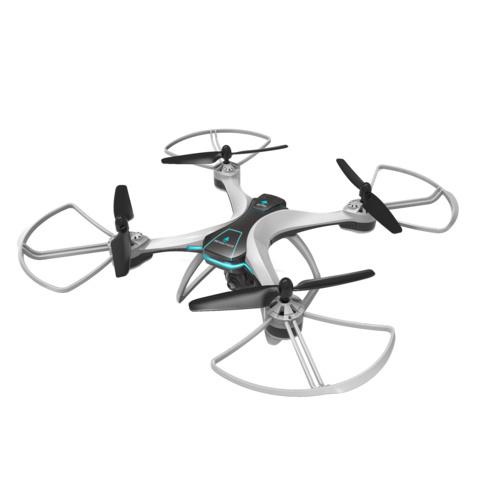 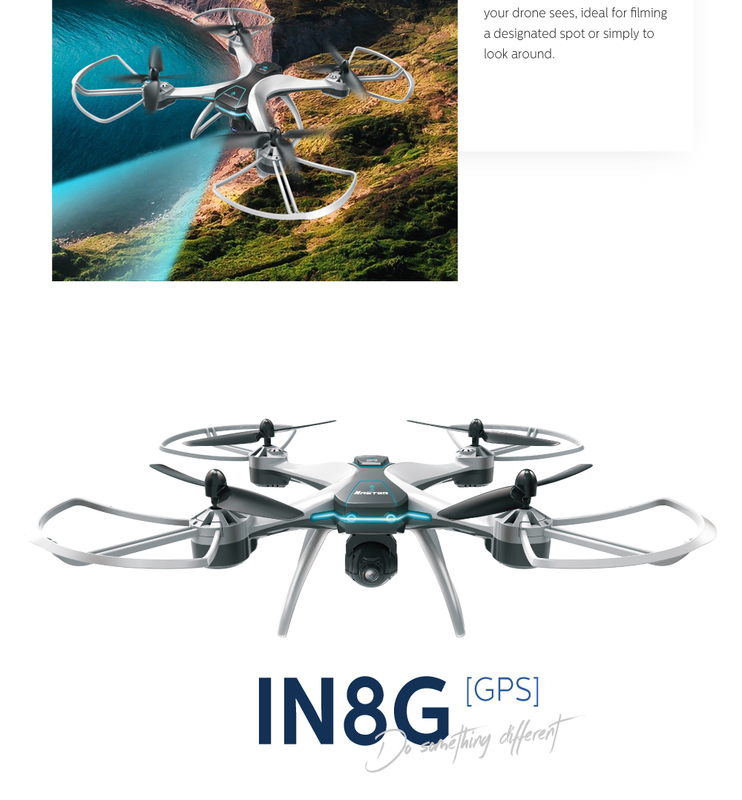 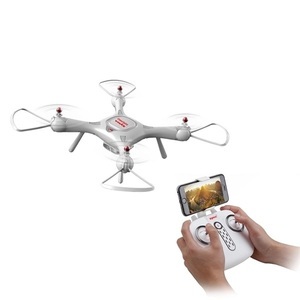 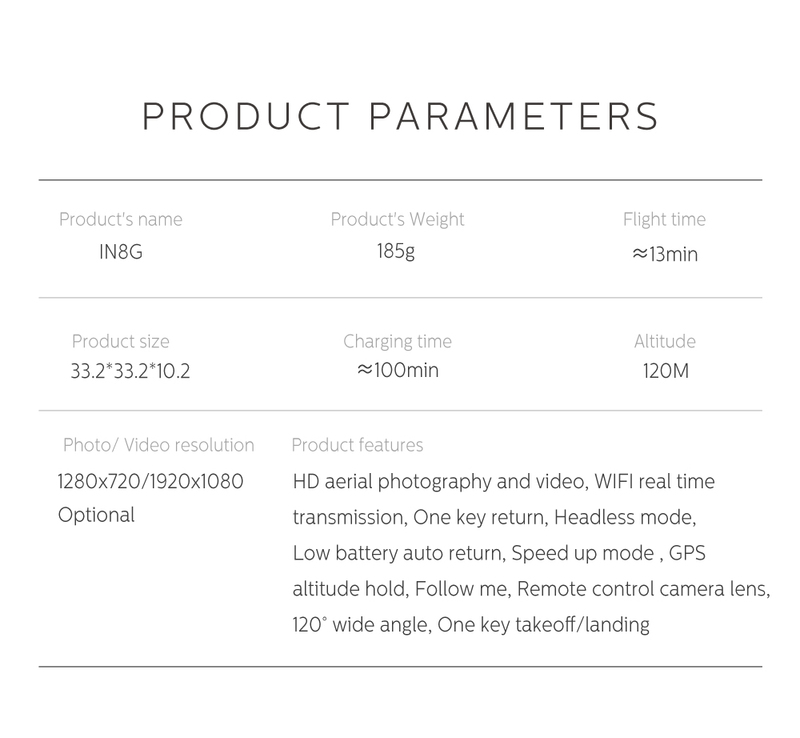 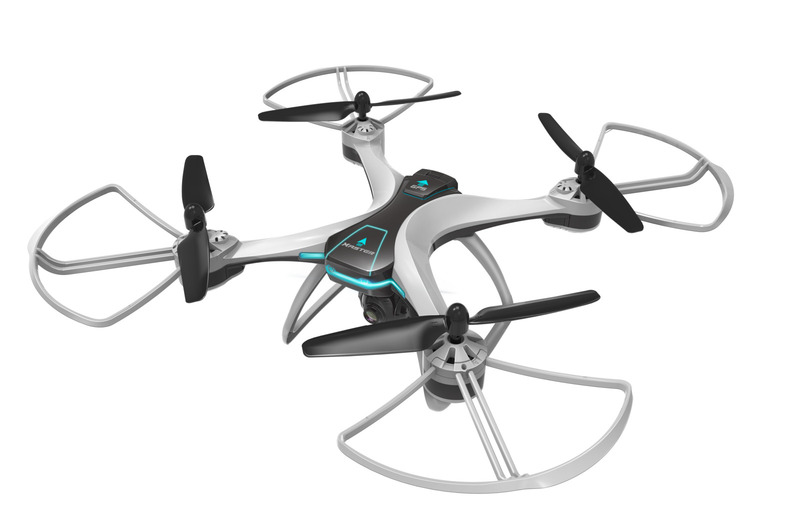 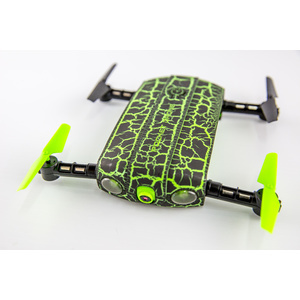 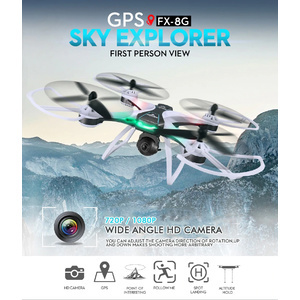 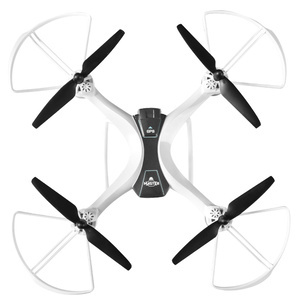 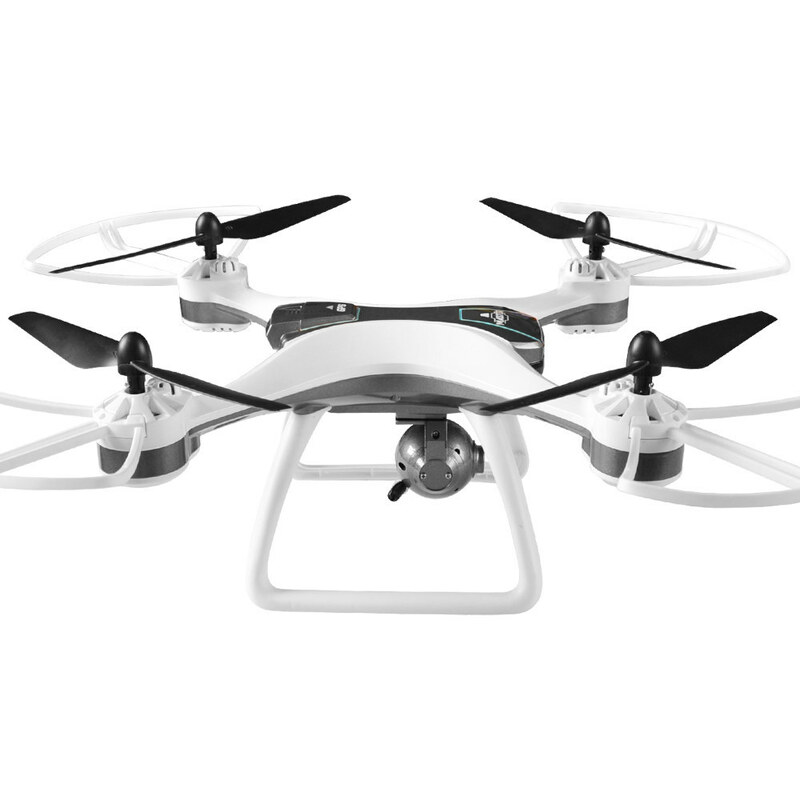 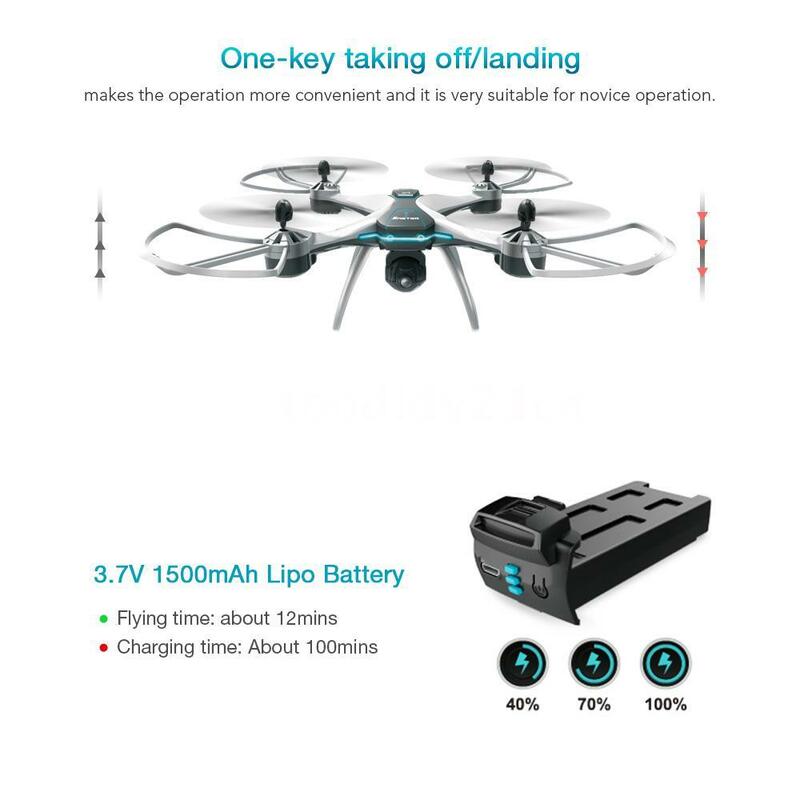 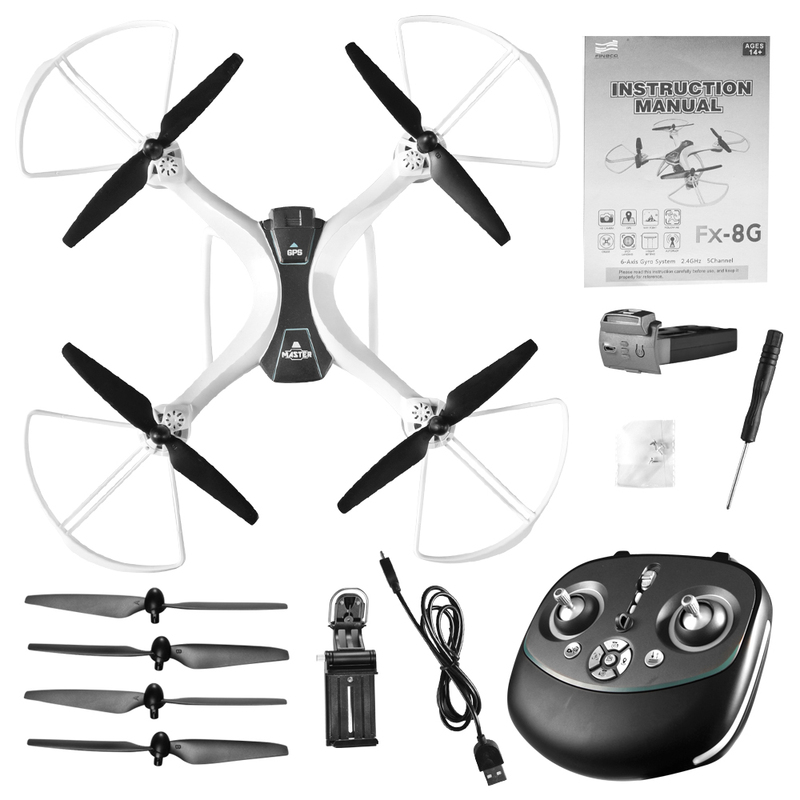 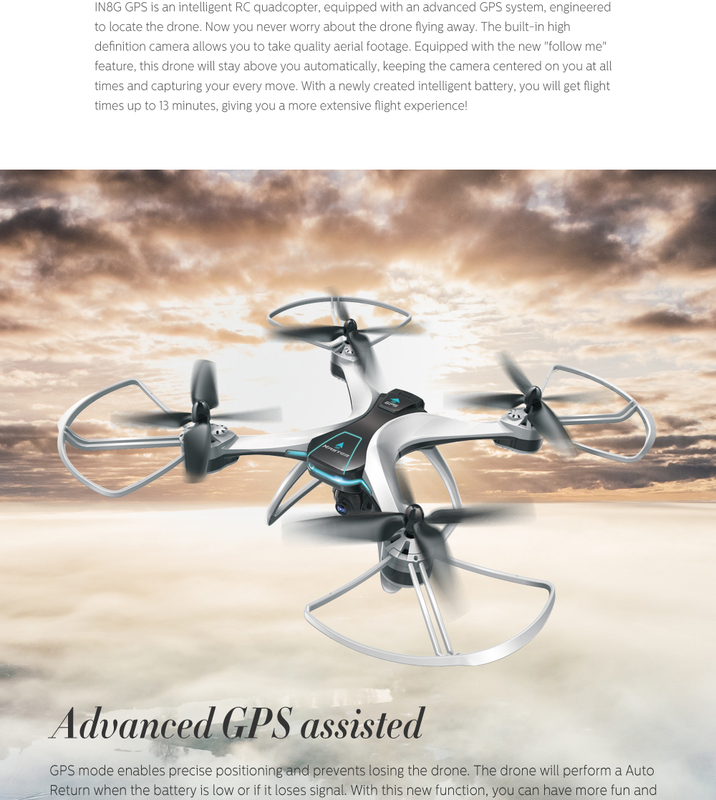 This mid size large RC GPS Drone with advance features commonly found on more expensive drones. 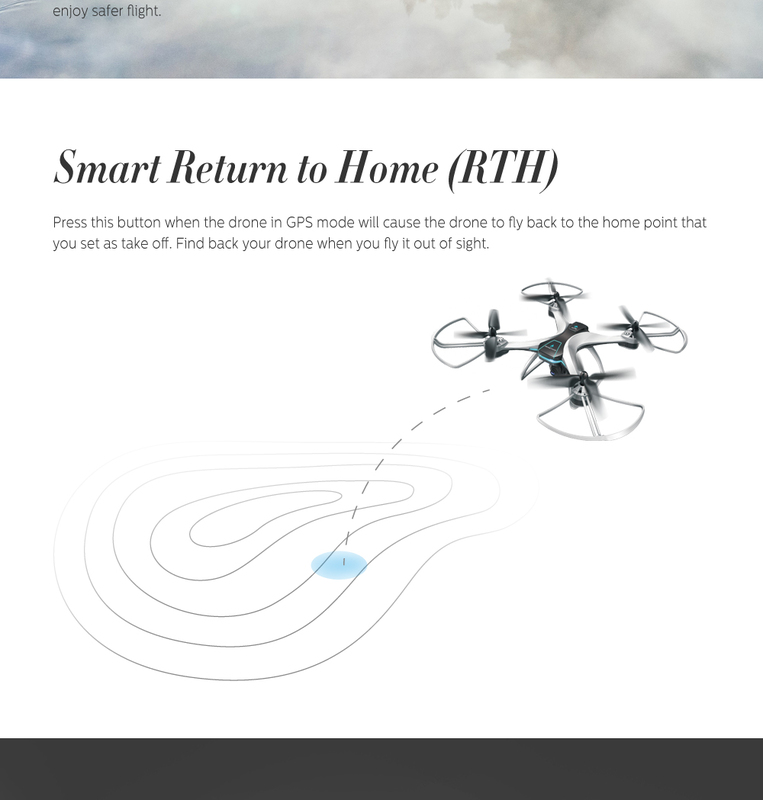 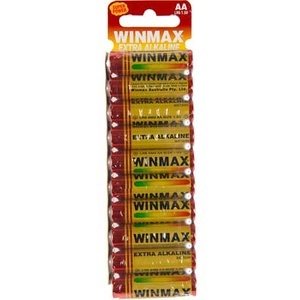 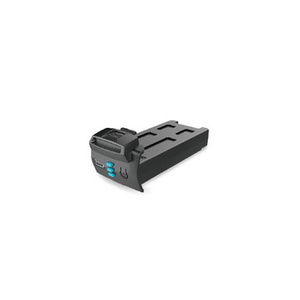 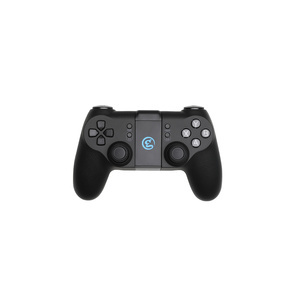 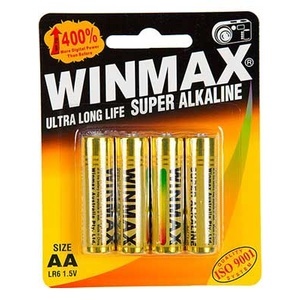 The GPS functionality provides stable GPS positioning, Follow me and return to home functionality. 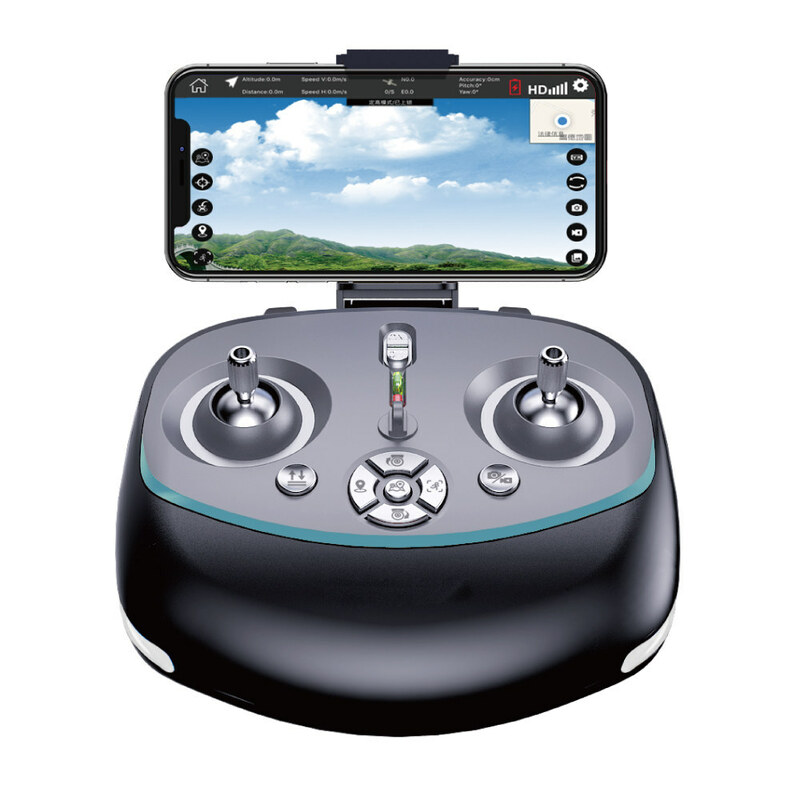 Equipped with a full 720p HD Camera, it is able to record high resolution photos and videos and stream real time video directly to a smartphone via an APP. 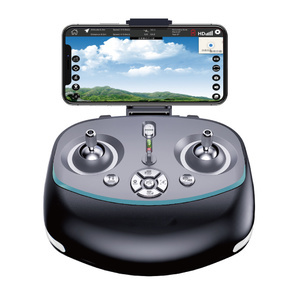 The camera can also also be adjusted up and down 90 degrees up and down for amazing aerial shots.